Food cultures of human beings have been changing along with the globalization of the world’s societies. Japanese food such as Sushi has become popular around the world for its taste and its low fat considered being good for diet. In general, most Japanese dishes have mild taste because it has unique taste. It could be said that umami, the fifth basic taste, is the center taste of Japanese food. It is not easy or may be difficult for most people to explain umami taste because it is different from those popular four basic tastes, sweet, sour, salty and bitter. Most foreigners do not feel much of those four tastes from Japanese food and may feel that it has mild favor as a whole. Umami taste is not so obvious for most foreigners to recognize, on the other hand, Japanese are familiar with this taste and use it as a main taste of Japanese cuisine. One of the major influences on Japanese cuisine is raw materials, especially raw fish. Japan is an archipelago country which all parts have an access to the ocean. As an island nation, Japanese take advantages of the abundant seafood supply. Therefore, fishes and other kinds of seafood are the main ingredients to find. Fish is commonly used in the Japanese traditional cuisine. It is often grilled, but it may also be served raw as sashimi or in sushi. Historically, when technology was not yet developed enough to keep fresh raw materials, Japanese aged raw fishes and seafood in order to supply them from the ocean to household consumers. The aged food process creates “umami” taste in materials which Japanese learn and use it as Japanese taste. 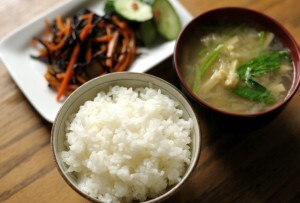 Today umami is still used as center taste of many Japanese foods. Japanese taste is original and is strongly influenced by its geography that leads to food supplies and production process. The way of living and eating creates a unique way of how Japanese feel about the taste. This entry was posted in Article on 23/08/2014 by Dr. Umami. Why red wine with meat, and white wine with fish?